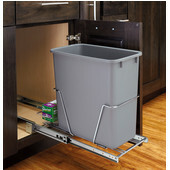 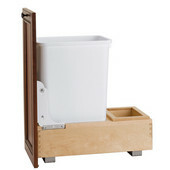 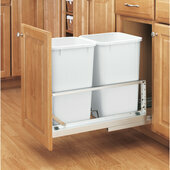 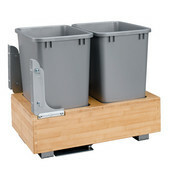 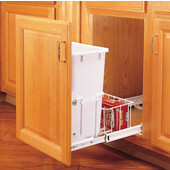 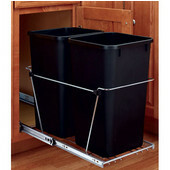 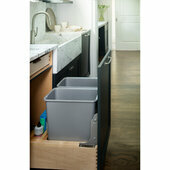 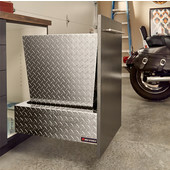 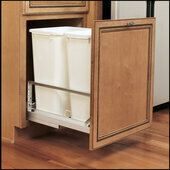 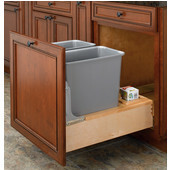 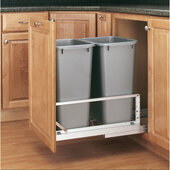 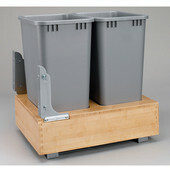 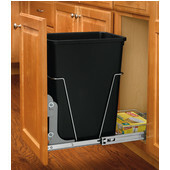 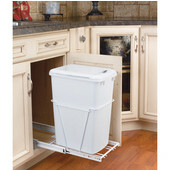 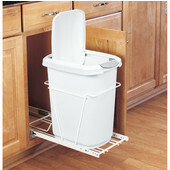 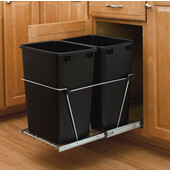 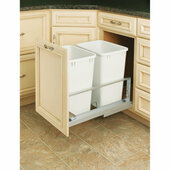 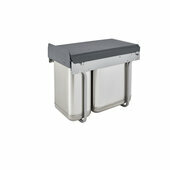 Rev-a-Shelf offers the most comprehensive line of waste containers on the market today. 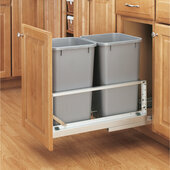 Designed to slide smoothly into your cabinet, these containers work hard for you and the environment. 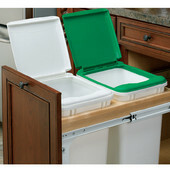 This line features round and rectangular waste containers, both with and without lids. 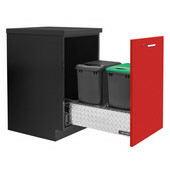 Also offered are special recycling receptacles and replacement pull-out bins. 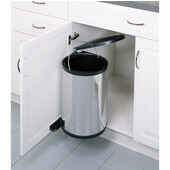 Replacement Bins and Lids are available separately. 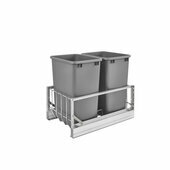 Replacement waste containers are available for almost all type of waste container models. 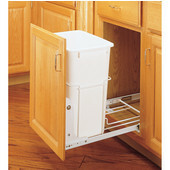 From 27 Qt. 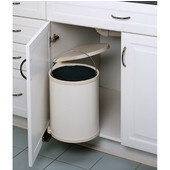 to 50 Qt. 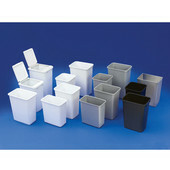 waste bins.